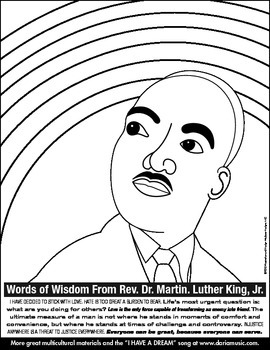 This coloring page allows children to personalize their picture of MLK and add colors to their rainbow. The quotes; including “Life’s most urgent question is: What are you doing for others?” and “I have decided to stick with love, hate is too great a burden to bear”, can be used to start discussions about important topics such as service, equality, bullying, tolerance or respecting others. MLK Day Mini-Poster - "Everyone Can Be Great Because Everyone Can Serve"